A relocation to a new home can be a tricky time for our pets. They need to travel long distances to an unfamiliar place. For some, the situation becomes worse as they have to deal with air travel. What can a pet owner do to improve the experience for their pets, and themselves? 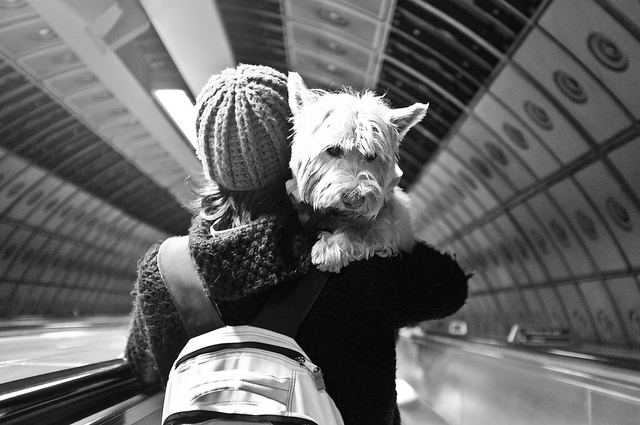 We present to you some expert tips on how to make flying with pets a less stressful experience. Flying with pets in the cabin or the hold? There are some airlines that will allow pets in the cabin under certain conditions. Generally, they must be in carry cage that is small enough to fit under a seat and has enough ventilation on two sides to help them stay cool. This approach is ideal for small dogs, cats and little animals that can travel with ease. It isn’t going to work if you have a medium to large dog breed. This is when you have to resort to putting them in the cargo hold. The idea of checking animals as luggage is horrifying to many pet owners that want their companions with them at all times, but sometimes there isn’t another choice. The good news is that pet safety is on the rise. Top airlines are aware of safety guidelines, such as flat-faced breeds not being able to fly (on that note if your dog is flat-faced, avoid flying all together). What happens if your dog has to fly to the new home while you drive? If the whole family is making the long drive to another state and you know it would be bad for your pet, the only option is to ship them separately and meet them at the other end. This can be heartbreaking because we don’t want our pets travelling alone, but a reliable transporter service can help by providing an aid to help with the journey. The best transporters will ask about the pet’s medical history and behavioural issue and make sure they are looked after. How can you choose the best experience for your pet? The first thing to do is to look for a direct flight to your destination. 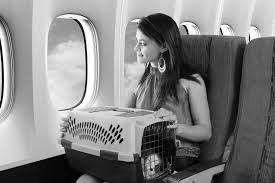 It may be more expensive then changing at a hub, but there is no need to put your pet through the stress of boarding, taking off and landing twice. It also pays to do your research about the available airlines to learn more about their regulations and policies. Don’t be afraid to email them with questions for a clear answer. The more information you have, the more comfortable you will feel. At the same time, the more information they have, such as full contact info on a collar, the better. The better prepared your pet is for the journey, the easier it will be. Make sure that your pet is up to date on vaccinations and clip their nails for safety. It also helps to put them on a harness in case they need to exit the carrier during a security check. Forget about the scare stories and spend your time researching airlines, regulations and ways to make the experience more comfortable for you and your pet. In an ideal world, it will be a direct flight with your pet beside you in the cabin. If that is not possible, work to improve the situation as best you can.